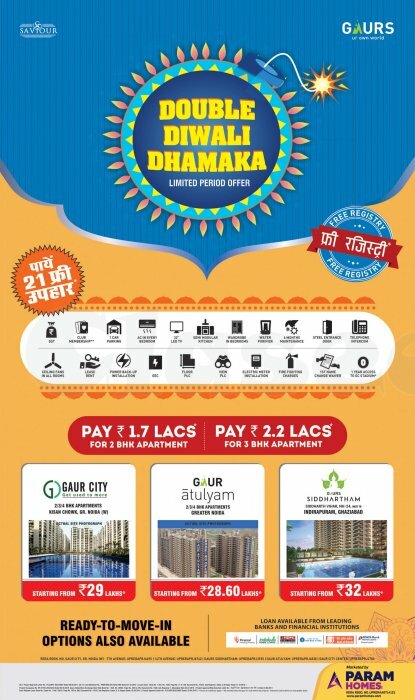 Double Diwali Dhamaka is limited period festive offer by Gaurs with amazing home offers available in entire festive season of 2018. 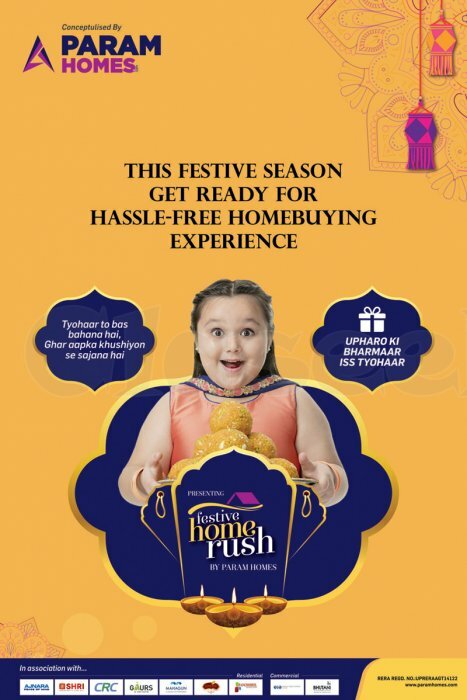 With Festive Home Rush at Gaurs Siddhartham. You can enjoy as many as 21 free gifts. 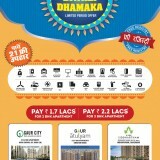 Pay only 1.7 Lacs* for 2 BHK Apartment and 2.2 Lacs for 3 BHK Apartment. This RERA approved project also presents ready-to-move-in options for homebuyers at Siddharth Vihar near NH 24 Ghaziabad.